Drenched in romance.What images.I knew nothing of this film.Amazing stills. 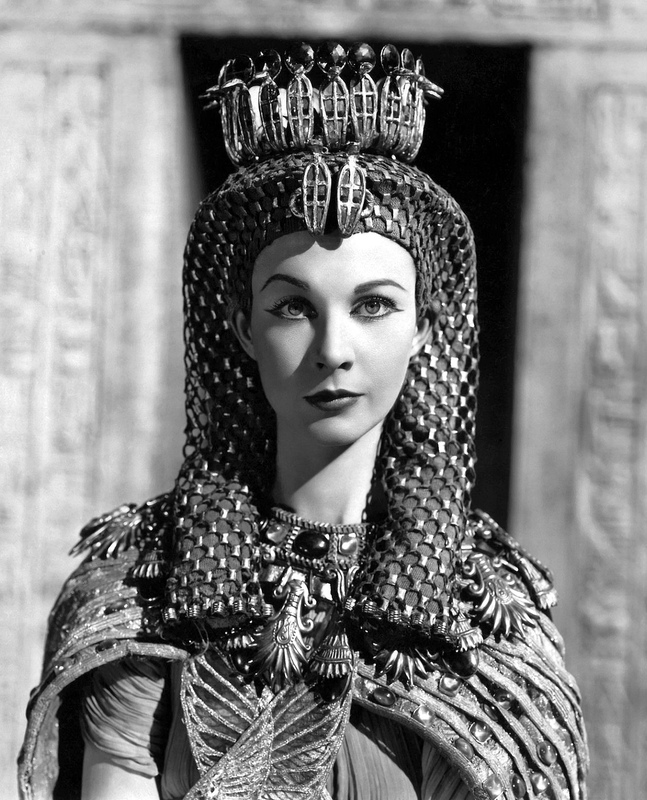 Strange to think that Cleopatra was Greek and had apparently not a drop of Egyptian blood. Part of the Ptolemaic dynasty – there’s a book you might like called: Cleopatra: A Life, by Stacy Schiff – I couldn’t put it down. Vickie,yes she was.I have not heard of the book to be honest,but will see if public library can order me a copy.I have a big problem with reading these days-not enough time.I have two things stacking up constantly-books and DVDs-eventually I get to go through them. Vickie,I just quickly looked up the film on Wiki and will go back to it.What an odd thing it was that the director ordered sand from Egypt to get the right colour as well.I am now trotting off to find a DVD of the film.Thanks for the posting. She’s gorgeous. I haven’t read Schiff’s book but have heard, from others as well, how great it is. I know the film rights to it were purchased by David Fincher — interesting to see what he’ll do with ancient Egypt. Ah! It will be interesting. 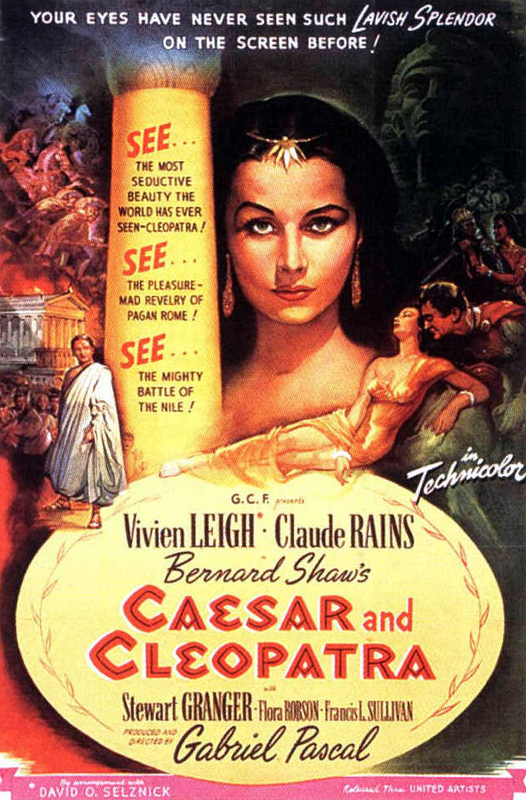 If you have some little views in your stats from Australia, some of them will be my daughter who is a Cleopatra fan. She tells me of ardent debates on Tumblr about Cleopatra, the real one. Fascinating how Cleopatra continues to influence our lives. The shadow cast by historical events and persons if often very long-for good or ill and often a mixture of both.Its not hard to see for example how the history of the crusades still effects both parts of The Middle East as well as our responses to it. Ah, petite, dark-haired, haunting Vivien. 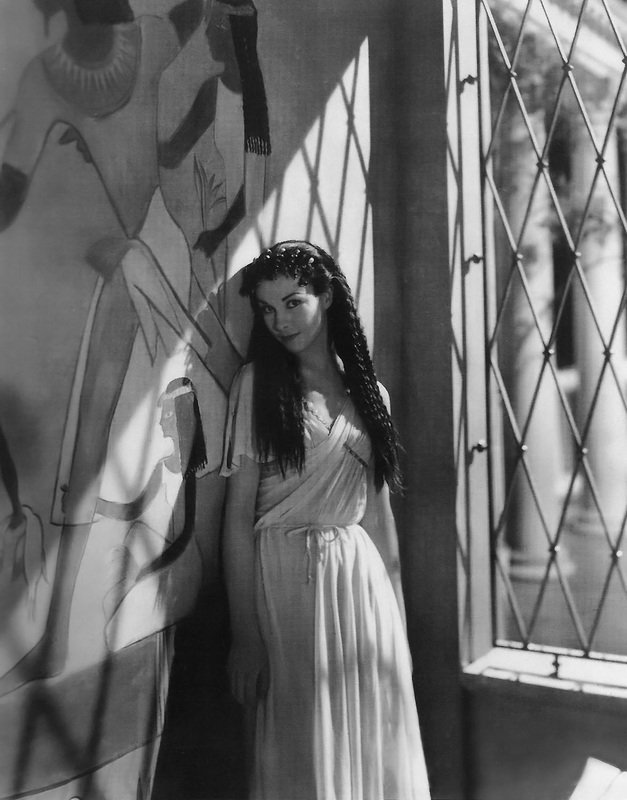 The most beguiling, thoroughly glorious Cleopatra in these pictures. Thank You, Vickie. The writer Steven Saylor has penned a series of murder mysteries set in the Ancient World, featuring the fictional Roman Gordianus the Finder. What really makes the books work is the depiction of character and the politics and society of Rome and beyond. The first novel of Saylor’s I read – and my favorite – deals with Cleopatra et al and is both well-researched and compelling. Certainly worth seeking out. 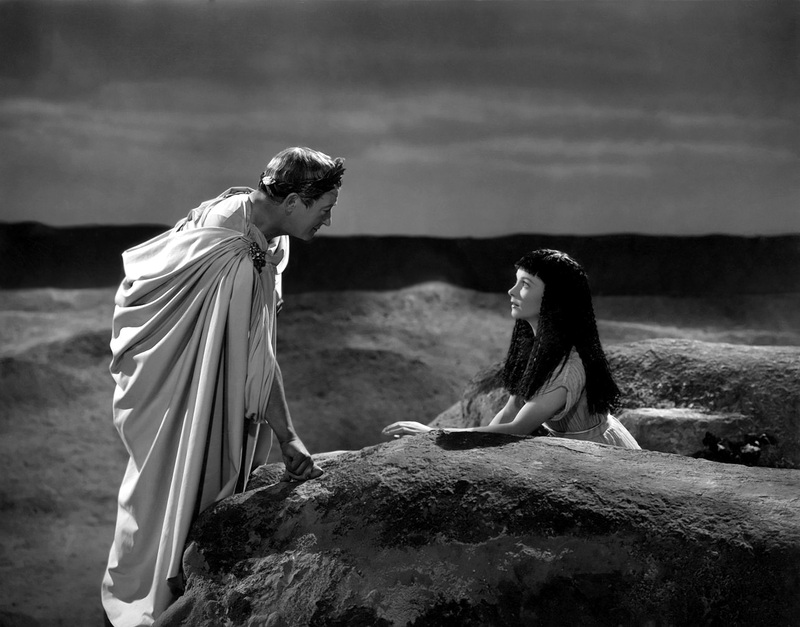 George,Carry on Cleo-Ah yes I remember it well.Maybe you have to be British to like Carry On films-maybe not.I am still picking them up at Charity shops over here after they were given away with newspapers.Kenneth Williams was a National Treasure and could make anything funny as far as I am concerned. To the library I go… And perhaps YouTube for Carry on Cleo? Vickie,there is a good/bad Carry On film called Carry on Screaming sends up Frankenstein etc.Have not seen it in years.Dumb as a rock but somehow appealing.For my money however-The Young Frankenstein.